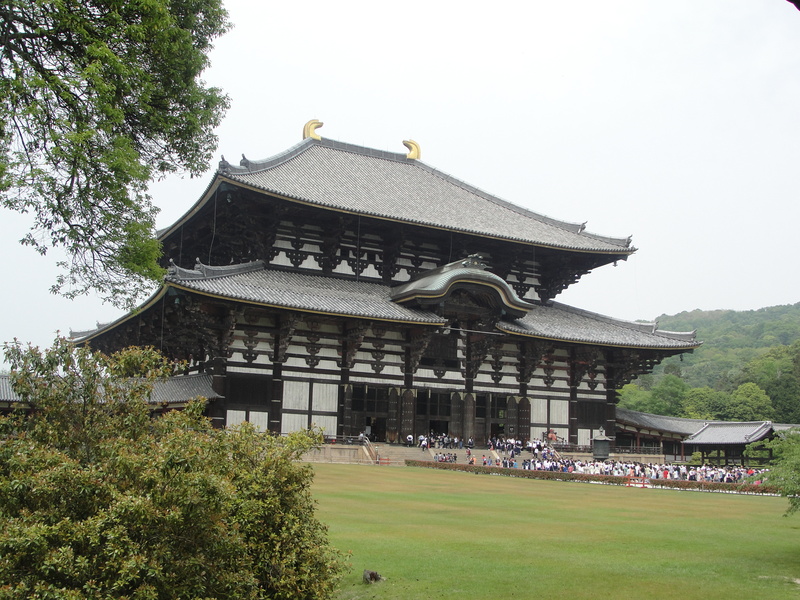 During our last day in Osaka, we visited Nara to check out the Todai-ji temple. 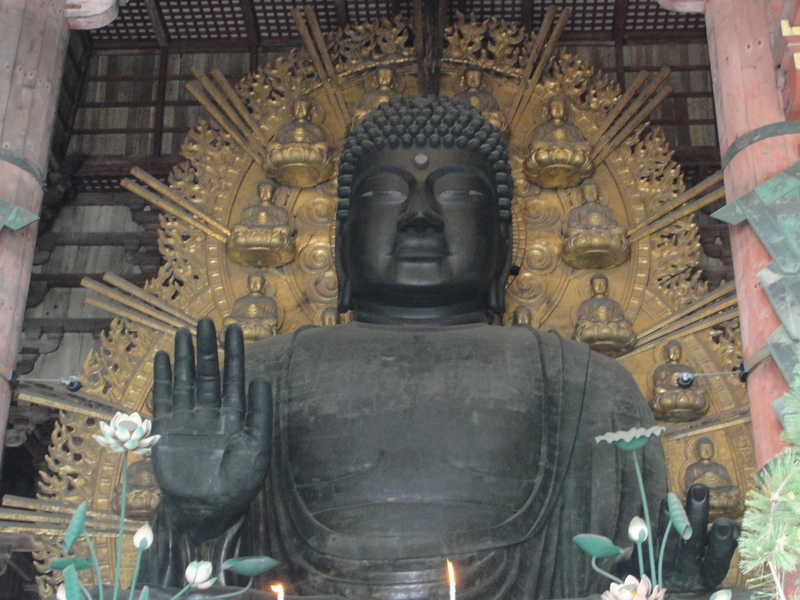 Todai-ji is a temple that houses one of the largest Buddha statues in the world. 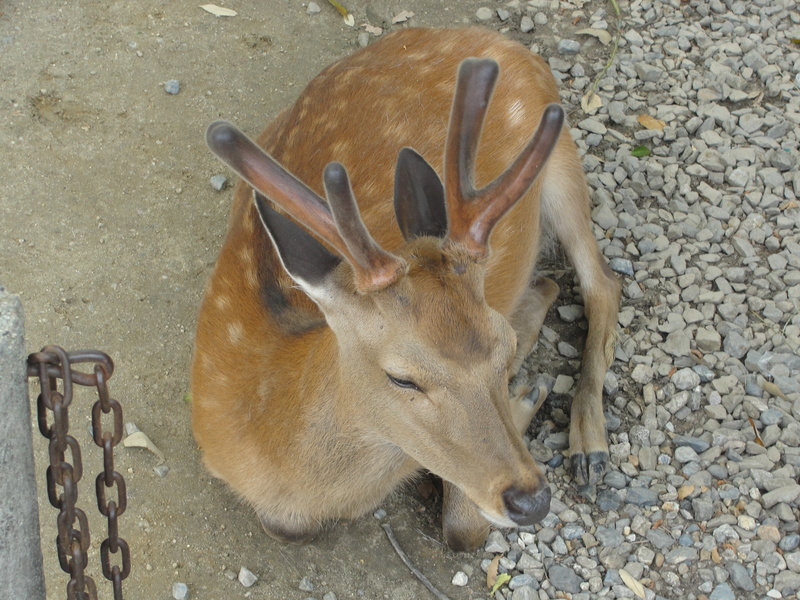 Like Miyajima, deer roam around freely in the area that leads to the temple. Unlike last time, none of the deer tried to eat our maps. Instead, we fed them crackers that people can buy to feed them. I got a little nervous because it felt like my fingers were going to be bitten off trying to feed the deer. The main hall that houses the Buddha statue was magnificent, it was truly a sight to behold. It was also awesome to see all the schoolchildren scattering about the area as well. We got a chance to interact with a few of them by saying hello to them, taking pictures, etc. It was really cool being famous for a day. Once inside, we finally saw the Buddha statue. This thing was massive, it was awesome to see this thing up close. We also saw other statues that represented other deities as well. Although I don’t know that much about Buddhism, but it was awesome to see the religion still has an impact on Japanese culture to this very day. 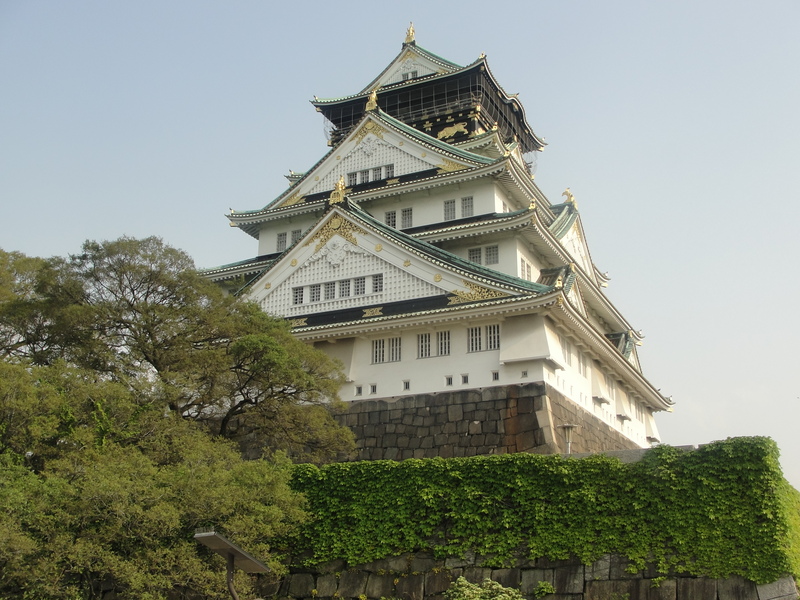 After we left Nara, we finally made our way to Osaka Castle. It was a bit of a walk trying to get to the castle, but once we got there it was truly a magnificent sight. Once we got to the top, we got a beautiful shot of the Osaka skyline. It would’ve been nice to see the inside of the castle, but seeing from the outside was good enough I guess. Osaka is a great city, hopefully I can get to come back when I return to Japan one day.